Over the past few years, the world has seen ransomware threats advance from living inside browsers to operating systems, to the bootloader, and now to the low-level firmware that powers a computer's hardware components. Earlier this year, a team of researchers from security vendor Cylance demonstrated a proof-of-concept ransomware program that ran inside a motherboard's Unified Extensible Firmware Interface (UEFI) -- the modern BIOS. On Friday, at the Black Hat Asia security conference, the team revealed how they did it: by exploiting vulnerabilities in the firmware of two models of ultra compact PCs from Taiwanese computer manufacturer Gigabyte Technology. The two vulnerabilities affect the GB-BSi7H-6500 and GB-BXi7-5775 models of Gigabyte's Mini-PC Barebone (BRIX) platform. They allow an attacker with access to the OS to elevate their privileges and execute malicious code in System Management Mode (SMM), a special operating mode of the CPU that allows executing low-level software. UEFI vulnerabilities are not new and researchers have presented such flaws over the years at security conferences. They're valuable for attackers because they can be used to install highly persistent malware that can reinfect an operating system even after it's completely wiped and reinstalled. UEFI rootkits -- malicious code that's meant to hide other malwareÂ and its activities -- are perfect for cyberespionage or surveillance operations. The 2015 data leak from Italian surveillance software maker Hacking Team revealed that the company was offering a UEFI rootkit to its law enforcement and government customers. Documents leaked recently by WikiLeaks about the U.S. CIA's cybercapabilities revealed that the agency purportedly has UEFI "implants" for Mac computers. 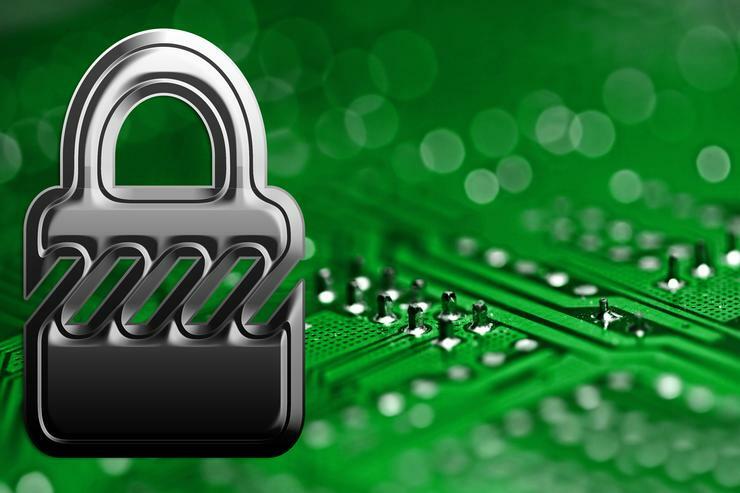 However, instead of demonstrating a rootkit, the Cylance researchers chose to show that ransomware can also benefit from the high-privilege position and persistence of UEFI. Figuring out that malicious code is actually installed inside a computer's low-level firmware is hard to begin with, and removing it can also be complicated because it requires reflashing a clean UEFI image. Gigabyte plans to release a firmware update for GB-BSi7H-6500 this month to resolve the vulnerabilities but won't patch GB-BXi7-5775 because that model has reached its end of life, the CERT Coordination Center at Carnegie Mellon University said in an advisory. In response to the recent CIA revelations, Intel Security released a tool that can help computer administrators verify if their firmware has any malicious code. One limiting factor for UEFI vulnerabilities is that they rarely work for a large number of computers. That's because there are several firmware/BIOS vendors in the world that provide their reference UEFI implementations to computer manufacturers, which then further customize them by adding their own code. This means that there's a lot of fragmentation in the firmware of modern computers, and a vulnerability in the UEFI of a motherboard from one manufacturer is not guaranteed to work on products from other vendors or from the same vendor.